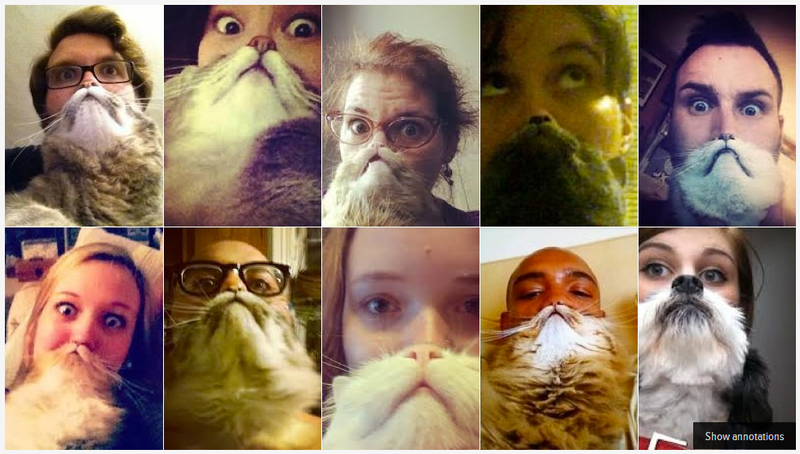 … about cool new fads, like cat bearding. I’m about as in the know as a cat turd hiding under my bed. So nevermind what I originally had planned for today’s post, this Gawker story is far better. Hilarious and literally why I’m calling into work tomorrow, I’m sure this is going to take awhile. Thankfully, no words needed–just a cat, camera, and the internet! I’ve got extra cats if you need them!